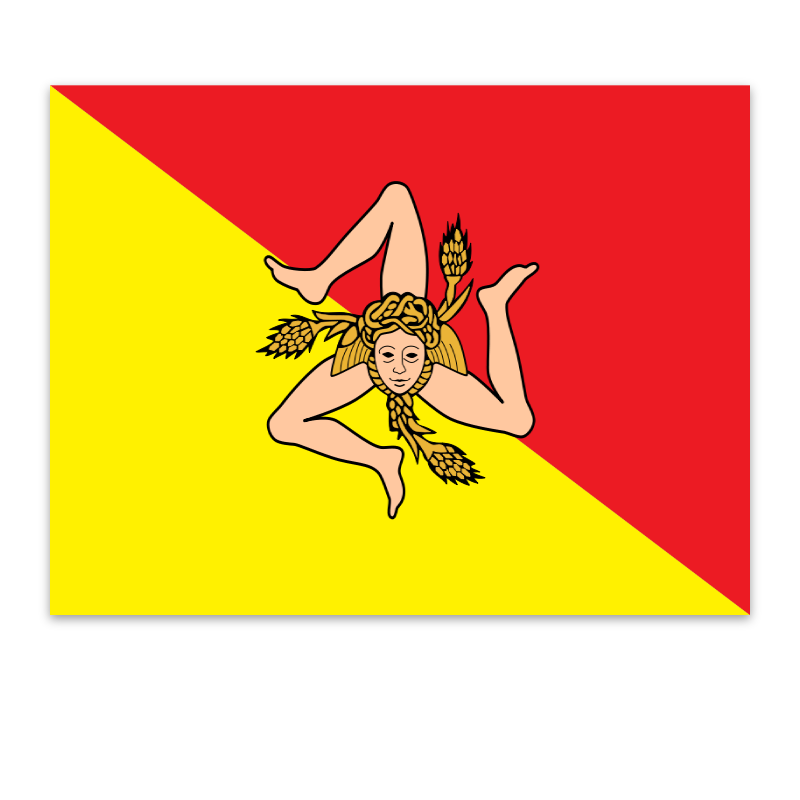 Catania is located on the east side of Sicily, at the foot of one of Italy's most active volcanoes, Mount Etna. 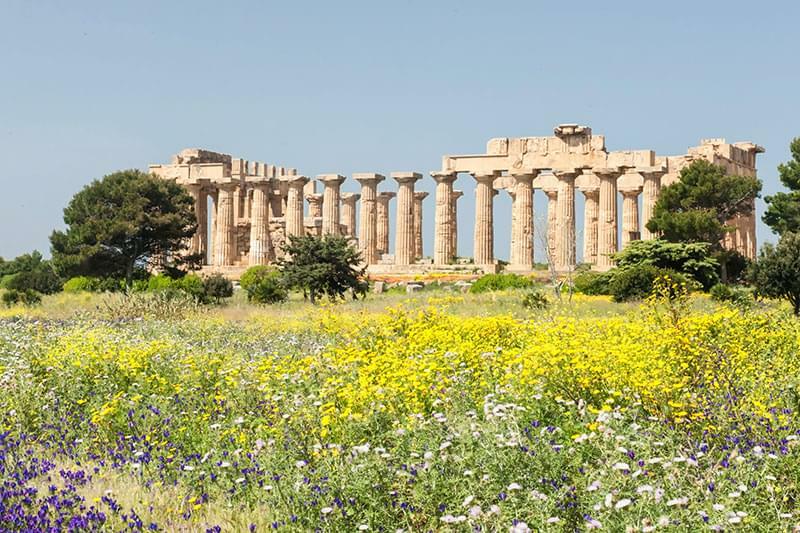 It is the capital of the Sicilian province of Catania and is the second largest city in Sicily, after Palermo. 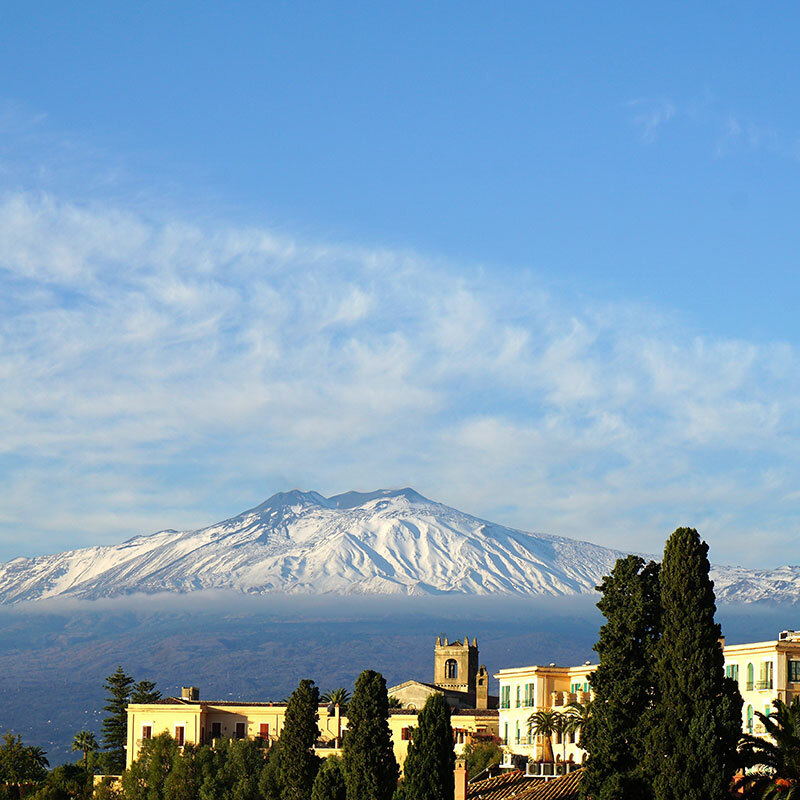 The city's proximity to Mount Etna is both a blessing and a curse. The fertile, volcanic soil brings many benefits, but eruptions from the volcano have already destroyed the city twice, once in 1169 and again in 1693, and the frequent seismic activity remains a constant threat. The city covers an area of 180 square kilometres and is home to nearly 300,000 people. 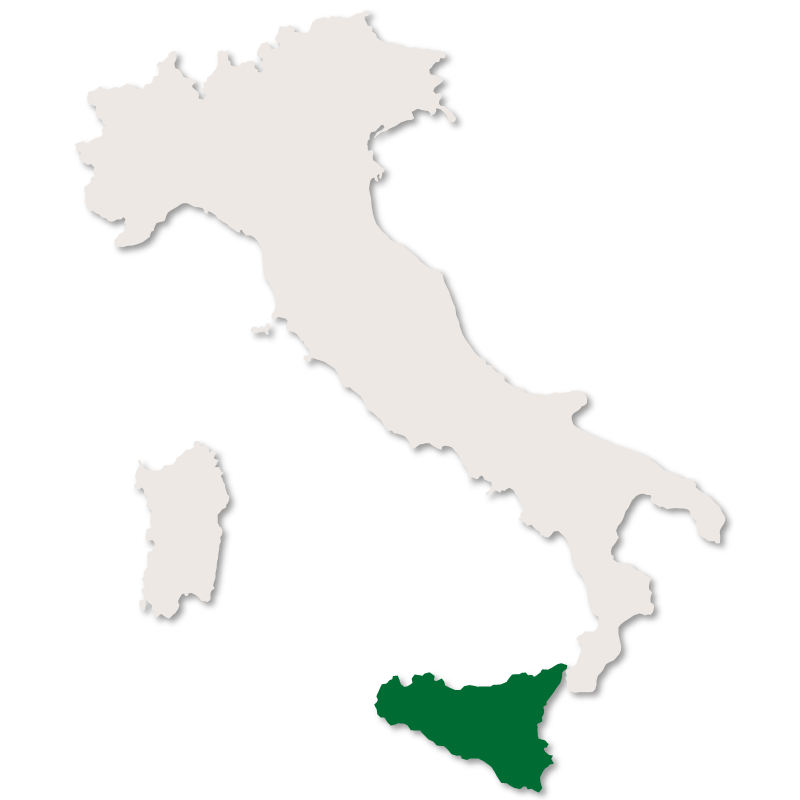 Like the rest of Sicily, Catania was occupied by many different civilisations,including the Greeks, Romans, Spanish, Arabs and later on, the Bourbons. All of these civilisations left the city with a rich and varied cultural heritage. 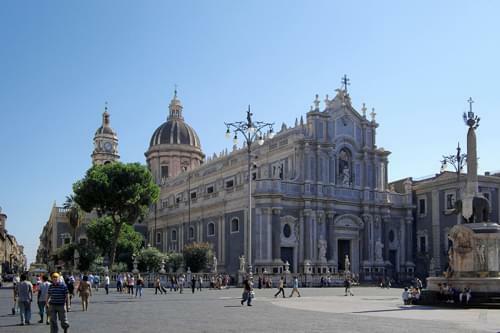 The Greco-roman architecture in the 'Parco Archeologico Greco-Romano di Catania' sits side by side with the medieval 'Castello Ursino' and Baroque masterpieces such as 'Catania Cathedral' and 'San Francesco d'Assisi all'Immacolata'. 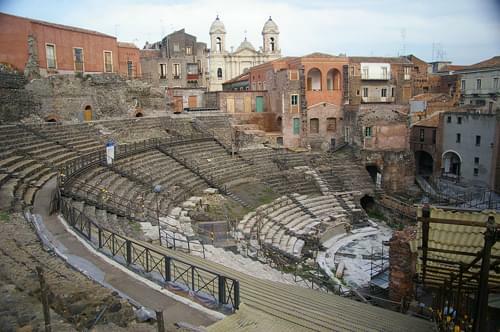 A stroll through the centre of Catania, a UNESCO World Heritage Site, is a stroll through history. 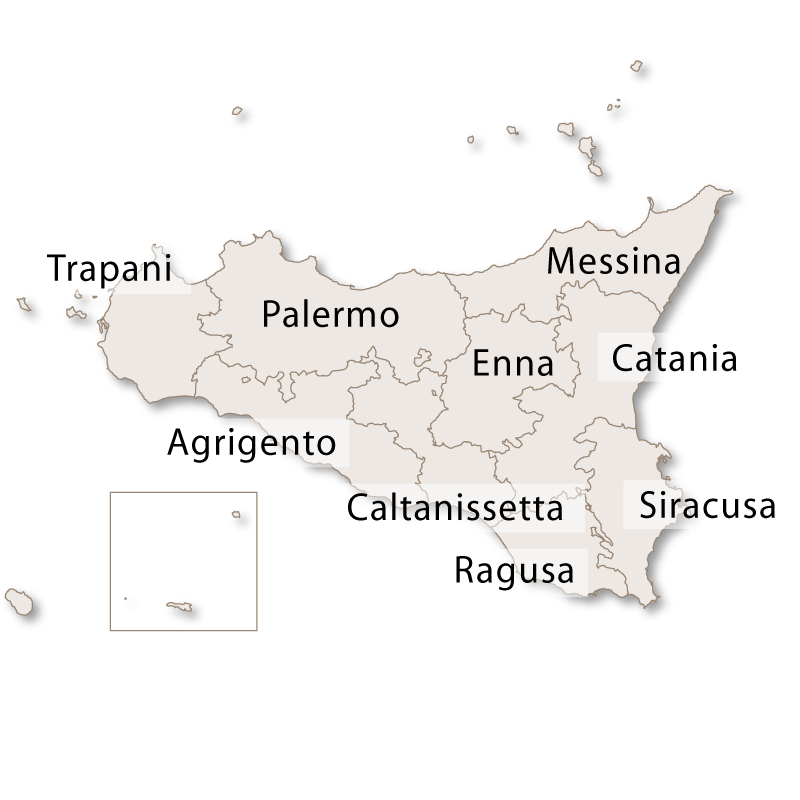 Catania is also home to the oldest university in Sicily. Founded in 1434, it has 12 faculties and hosts 62,000 students. The opera composer Vincenzo Bellini was born in Catania. There is a museum located at his birthplace and the opera house, built in 1890, is named after him. 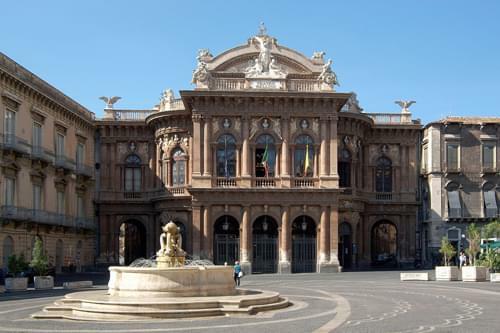 Between December and May each year, The Teatro Massimo 'Vincenzo Bellini' presents a season of opera performances, including works by Bellini. Catania is also home to 'Calcio Catania' Serie A football club. 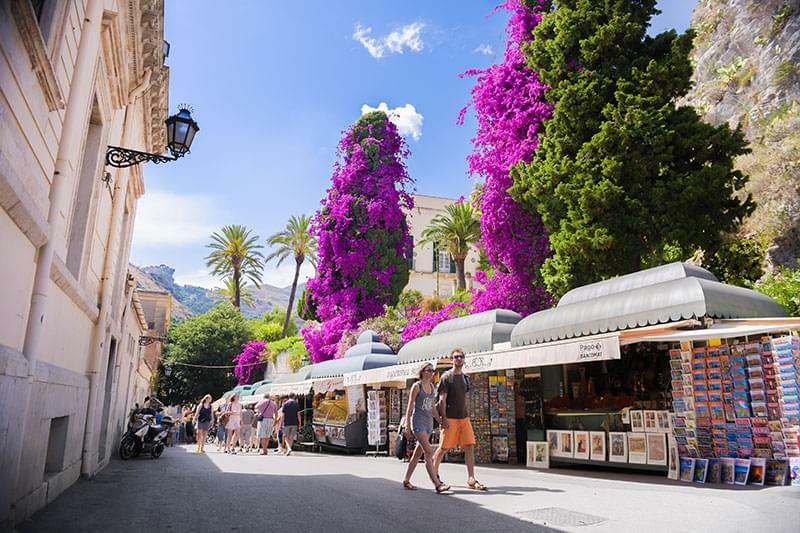 The nearby town of Taormina, with its charming town centre, Greek theatre, spectacular views and idyllic, Ionian beaches, is one of the most popular tourist resorts in Sicily.